Tunnels & Thompsons is the title of a chapter in the MSPE 1st ed. rulebook, explaining how to mix the contemporary setting of MSPE and fantastic, horror, magic, fantasy... 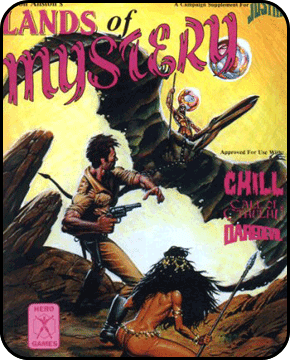 It was replaced by an expanded chapter called Nightstalkers in the Sleuth edition with titles like Science Fiction, Horror or Fantasy and stats for mummies, yeti or pteranodon. MSPE lets you do pulps, it is part of its structure. So don't forget that pulps were not only contemporary adventures set in the "present" (20's to 50's), but was also any blend of horror, fantasy, western, scifi... And with an added twist for us: the future of the pulps was the future that could be imagined at the time. And that is easily modelled with rules like MSPE. There are lots of supplements, adventures, books, movies or ideas that can be turned into MSPE stuff. The secret is to be as open as possible to the possibilities of the rules and forget any self-censorship... Here are some suggestions. If you can lay your hands on “Lands of Mystery” of Aaron Allston, don't hesitate to grab it at any cost: it is one of the best roleplaying supplements to have ever been released, for any game. Following an agreement (at the time) between their respective editors, the products for Hero Games and MSPE contained the characteristics for the other system (it is, for example, the case with “Trail of the gold spike”, a scenario for Justice Inc. by Hero Games, but containing the characteristics for MSPE). Unfortunately Lands of Mystery was the first product published after this agreement and although it is still multisystem, you will have to figure the NPCs stats to use it (which is not very complicated). Lands of Mistery contains a ton of useful material for the GM, not pseudo-literary stuff intended to boost the ego of the author, nor fifty variations on the same topic (subtly called factions) to sell paper. The novels of Abraham Merrit can also provide you with ready-made universes and scenarios for your adventures in alternate places. On another hand, if you like steampunk, Space 1889 lends itself particularly well to MSPE and the adventures and setting are easily available in pdf. Indeed, the victorian period is already covered by the rules and steampunk technology is particularly easy to add. Just use modern technological instruments and add old-fashioned look and unreliable operation. Your adventurers can then roam the solar system on steam powered spaceships or face the martians natives in the canyons of the red planet. The range of scenarios is really widespread, just like the environments. The most important thing, however, if you play in this period, is to face adversity with the cool and dignity of a gentleman. But inspiration and scenarios should not come only from rpg sources if you don't want to stiffle your imagination. 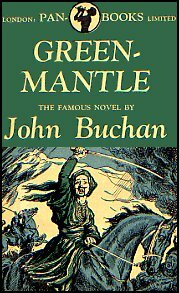 You will find a lot of ideas for new scenarios in the novels from H.Rider Haggard or John Buchan (mainly known for his novel “39 steps”, but his other novels are well worth reading and those set during WWI are almost ready to play, "Greenmantle" pictured above is a good example). In the same way, if you love pulps, there are lots of modern heroes thrown into retro-SF stories with a wonderfully obsolete scientific feel (Flash Gordon or Buck Rogers, for example). If you want computers with the brain-power of a calculator to have the size of a house, or if you want your space battles to feel like Midway, this is the time-period for you. You don't have to change anything on the rules, just give suitably archaic sf names to any piece of equipment you need (something like zapping gun or space destroyer...). Now, if you want to have fun and surprise your players, place their contemporary characters in the middle of an odd storm or have them discover a strange object… and pooof! They find themselves at night in the middle of a field close to a river. At their feet, a humanoid of small size stumbles and falls, he gives them a ring, saying with his last breath “We failed...find…Gandalf… at the Prancing Pony… AAaaarrghhh.” and then he dies. Under the moonlight, they can see black riders approaching. The full story is in Tolkien. Will your characters succeed in using their foreknowledge to change the story? 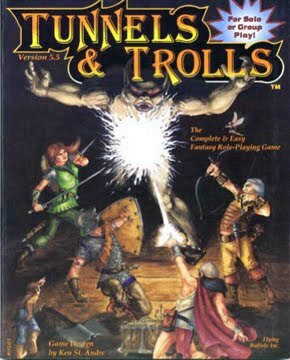 If you would like to play this kind of scenarios, it is possible to use Tunnels & Trolls (available at Flying Buffalo, see part 1) to enrich MSPE of fantasy elements. Moreover, as MSPE and T&T are completely compatible, that does not require any modification in the rules. Simply use the rules of MSPE for character's creation, experience, etc… and include the elements of fantasy from T&T (magic, races, monsters, weapons, armours…). Indeed, you could play straight fantasy using MSPE for the rules and T&T for the materials. But remember that you are not anymore in the Uberheroic feel of T&T . MSPE gives a much much more down to earth low level fantasy experience. If your players want their characters to survive, they should better be good. 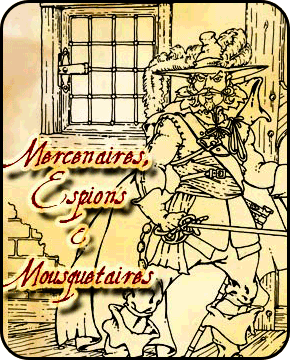 One of my favourites periods for roleplaying is that of the swashbuckler's adventures; that of the novels from Alexandre Dumas, Michel Zevaco, Rafael Sabatini, or, nearer to us, those of Robert Merle, Arturo Perez-Reverte, Hubert Montheillet and Jean d'Aillon (fabulous! ), or, if you prefer a small fantasy twist, Pierre Pevel. And for something quite different, I would be tempted to play a campaign based on the comic strip “De Cape et de Crocs”, which is a real masterpiece of its kind. It would be enough to have some modifiers for the animals to be able to play in this universe. "Shifting the time frame of an adventure can make it interesting. Everyone has enjoyed Three Musketeers movies and there is no reason the MSPE rules cannot be used to play out those adventures. Slipping magic, superstition or supernatural creatures into that type of setting would be easy and interesting." I shall certainly not contradict him.. But if you want a campaign that offers all that at the same time: parallel universes, contemporary adventures, journeys in time, science fiction…, it is quite easy: play a campaign where your players can change from one game world to another with each new scenario. If you haven't read them already, you can have a look at all the Time Patrol's novels by Poul Anderson (and you could also do worst than order at the same time his Space Opera or Fantasy stuff). But time travel can be something else than being the member of atime patrol. The characters in a pulp game can be fighting a villain with time travel capabilities. And the help can come from a scientist with not-too-reliable time machine or a modern day shaman that can send the PCs in the past (but with their stilled bodies vulnerable in the present to complicate things). In the past... or to parallel universes, that don't have to mirror history. Timeline from Michael Crichton would make a good scenario, ready to play, about rescuing lost peoples in the middle-ages (and a quite gritty rescue). You'll find all you need to do that in the many GURPS supplements that will give you the basic information needed to carry your characters from universe to universe. GURPS default setting consists of two similar organizations (but originating in different universes) which fight in the intermediate parallels universes for the supremacy of the multiverse. This is obviously an ideal pretext to send your characters anywhere and any time. 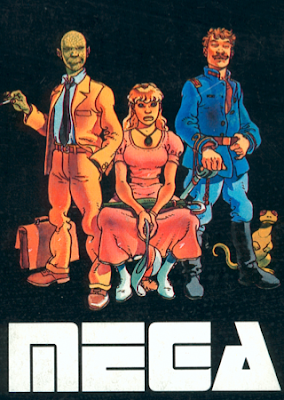 French-speaking peoples should hunt down copies of Mega (1st edition preferably), the RPG from Casus Belli that took part of its inspiration from the classic comics 60s and 70's adventures of Valerian and Laureline (yes, the same heroes of the Luc Besson's movie). Before finishing this post, I would like to stress that, by using the tricks that were part of pulps writing (dreams, memories, machines, hereditary memory, contents of a book, magical or mystic transes or artifact, part-time membership of a time or space patrol,...) the same characters could take part in all of those adventures. Which was something that happened to some recurring characters in pulps series (Bob Morane is the main exemple for french-speaking readers, but there should be others). I could continue to multiply the exemples, but that's not my aim. What I wanted to explain is that MSPE is much, much more than a present day RPG... if you look at it the right way, MSPE spectrum is as broad as pulps inspiration. And that, was limitless. MSPE and T&T are not "Completely Compatible" - there are significant differences. Like 2min vs 30 sec combat rounds, missile weapon difficulties to-hit, advancement mechanics, unarmed combat, T&T lacking a skill system... You have to pick one or the other as a baseline in each of those cases. Looking at one element alone: Stat Gains from levels... T&T is a multiplier of the new level number and a fixed value by which stat is raised. MSPE is raise a stat 2 points at level up.... at 4th level and higher, this makes for huge differences. Yes indeed, you have to pick one baseline. But as soon as you have done it (in my case MSPE) you can swap most of the elements (weapons, skills, monsters, spells,...). That's what I mean by compatible. But the word is maybe too strong, because you can not play one game and then shift to the other (though there are guidelines for that in MSPE). What I did mean was that one game can be used as a sourcebook for the other. You don't need to change the rules you choose (T&T or MSPE) to use parts from the other game. But I am not sure what to call that (interoperability?). The difference in experience handling is the most significant, I think, making MSPE far more gritty and much less cinematic than T&T. though I would certainly read your ebook with interest, I don't feel qualified to review it. I have no particular knowledge about litterature and mostly, english is not my language, which makes my opinion about style or even grammar completely worthless. A most excellent article. Inspired me to both pick up MSPE and Lands of Mystery. Thanks for the recommendations. I am quite sure you won't be disappointed. It is one of my best gaming memories.